Despite the ‘on again’ and ‘off again’ talks of a Yahoo! acquisition by Microsoft dating back to early 2008, rumour has it that we are now just days away from a joint venture announcement between the two companies. While varying rumours have surfaced about the scope of the Yahoo! buyout by Microsoft it now seems safe to say that this will not be a complete buyout of the company but rather something in the middle of a buyout and what Microsoft earlier agreed to with Facebook. Microsoft is in firm control of all of the Yahoo! paid advertising service. 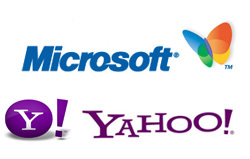 That Microsoft will offer a guaranteed ongoing percentage of revenue on all future paid advertising to Yahoo! That Yahoo! will continue to operate all other properties as per norm with the possibility of future participation of Microsoft. While we have heard these talks before, it certainly appears that a deal is imminent. Both sides including Microsoft CEO Steve Ballmer and Yahoo! CEO Carol Bartz are currently in talks and apparently have worked out many of the earlier shortcomings. Why Does A Deal Make Sense Between Yahoo! and Microsoft? According to whichever search engine market share report you read they all say basically the same thing; Google has about 65%-80% of all search related inquiries and the combination of Yahoo! and Microsoft have anywhere from 15%-30%. The continued downward market share of Yahoo! as a search engine over the last year. These points have likely caused Yahoo! to be a little softer in their approach with Microsoft. With a partnership in place they can then work together in attempting to take market share away from Google. What Does This Mean To The Online World? There will be many opinions about the outcomes of this partnership. Some will see the partnership as a negative seeing that less competition means the centralization of power in the search industry. Others will see this partnership as a positive, pointing to the fact both Yahoo! and Microsoft will be able to be more innovative in collaboration and the result will be a more formidable competitor for Google. It is my own belief that this decision was a necessary one for both Microsoft and Yahoo! In line with many of the companies recent decisions in buying relationships that will help increase market share. Will help ensure that Google has competition from a company with some financial clout in the future. Will alleviate many of the recent tensions brought on by a continuing decline in overall search market share. Will ensure that the company has greater financial backing and a larger pool of both research and marketing moving forward and will also allow the company the peace of mind in growing out their other properties. Google has been running along pretty much unchallenged now for several years. They have been doing many things right both inside and out. The recent moves by Microsoft, although currently smaller in scope, are a step in the right direction to help increase the competitive environment of search. The end result will hopefully mean a better product for the beneficiary – the searchers themselves! Yet another deal move from Microsoft, I don’t think Yahoo will go for a acquisition deal instead they will opt for a search deal. If the deal happens then that makes Microsoft & Yahoo! 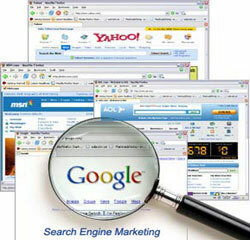 claim bigger slices of the shares of the internet that can shake Google’s search engine kingdom. I agree with Jobin. I’m a developer and always use google search and i’m 100% percent satisfied with it, so why should i look for another? Moreover i’m a supporter of opensource and google has got big community for that – Google Code. Google already has big customer base and it’s very difficult to budge them. Google is best notonly in search but also in other web applications and gadgets like google map, friend connect, feedburner, various seo tools etc..etc..and these comes as free of cost. Google also provides api’s for all these so that the tools can be customized. May be Bing & Yahoo can target the new customers. I see the buyout as long overdue. The combined might of Microsoft & Yahoo can obviously pose a stiff challenge to Google; but I have serious doubts on whether they can really eat in to a major chunk of Google’s search market. They could as well concentrate on some segments of search related business that are money spinners. The fact is Google is too well entrenched and has become synonymous with search. Competition will further drive innovation and will ultimately benefit the end- user.